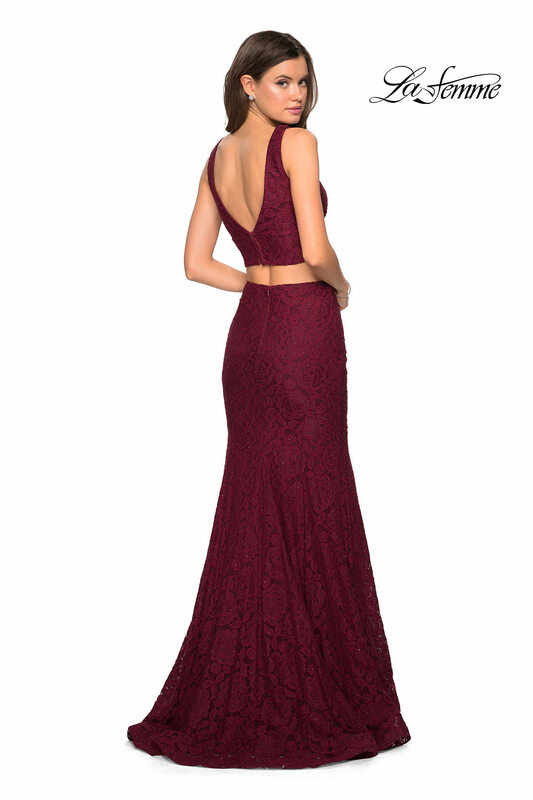 Turn heads in La Femme 27262! 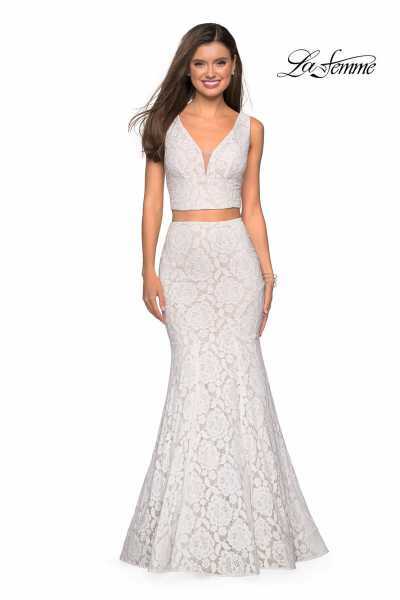 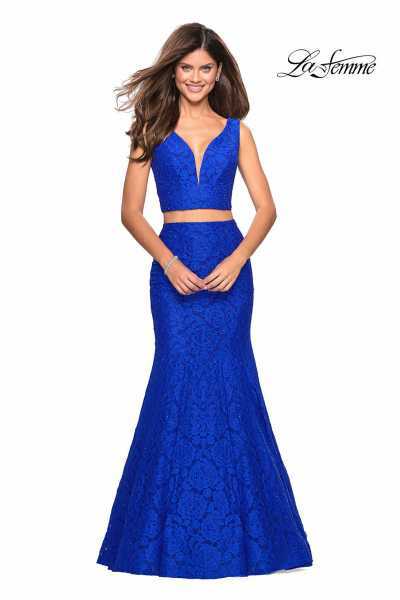 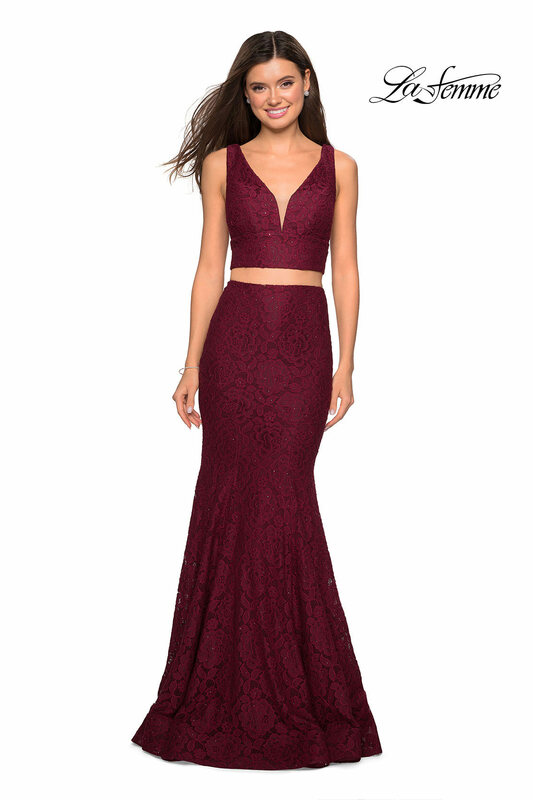 This lace two piece dress features a plunging v-neckline. The skirt has a fit and flare silhouette. It comes in four stunning colors to choose from.